To kick off 2017 in style, pick up the new Pegassi FCR 1000 Motorcycle and engage in an explosive new brand of vehicular warfare with the Vehicle Vendetta Adversary Mode. 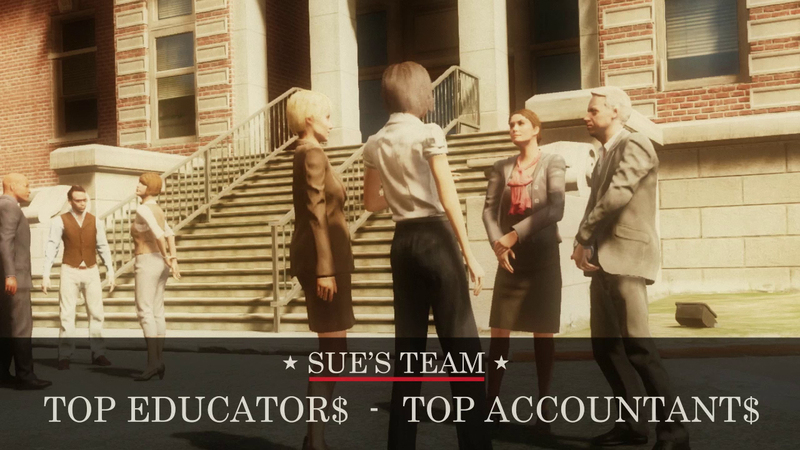 There are also opportunities for bonus GTA$, a fully-stocked list of New Year discounts and more. Read on for all the details on today's updates, inbound deals and your last chance to grab a holiday gift. 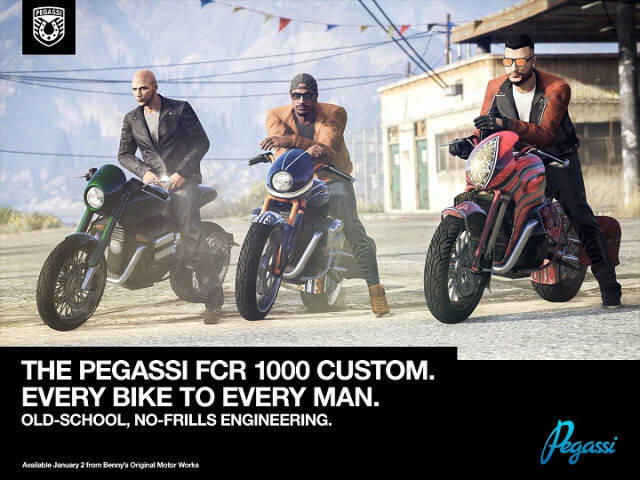 Benny has seemingly gone back in time with the uber-customizable Pegassi FCR 1000 - now available in GTA Online. This fully-featured beaut of a bike treads the fine line between old-school, no-frills engineering and a tight-trousered hipster's delight. An instant classic, this bike will be the envy of your grandpa, even if he did disown you. • Beast: Automatically transforms you into a Rhino Tank. • Detonator: Removes obstacles and objects from the arena. • Bomb: Place up to three bombs around the map to destroy trailing enemies. • Rockets: Fire rockets at oncoming drivers to incapacitate them. • Repair: Returns vehicle back to max health. • Ghost: Become translucent, allowing you to drive through enemy vehicles to steal their power-ups. • Jammed: Forces the accelerator on for the enemy team's vehicles. • Flipped: Reverses the enemy team’s steering, acceleration and braking controls. • Zoned: Slows down time for all players. • Deadline: Automatically switches you onto the Nagasaki Shotaro complete with devastating light trail. • Random: Chance to collect any power-up except Detonator. As an added bonus, earn Double GTA$ & RP now through January 17th in Vehicle Vendetta. Buckle up. The above discounts all kick off tomorrow, January 3rd and run through January 16th, so stock up and wreak havoc while you can. Speeding through Stunt Tubes and over Ramps suspended hundreds of feet in the air takes a major set of stones and we're rewarding you handsomely for it. Also starting on January 3rd, earn Double GTA$ & RP for competing in all 27 death-defying Rockstar Stunt Races. For those looking to potentially earn a little extra GTA$ (and Triple RP), Racing Alley will be the Premium Race through January 16th. To join the Premium Race, just hit the yellow blip at Legion Square or enter via the Quick Job App on your in-game phone. The season of giving is drawing to a close, but there's one last chance to grab a late holiday gift - log in before the end of today for a free Firework Launcher bonus to celebrate the New Year with a bang. Also, if you haven't noticed, it's still snowing in Los Santos… but today is the last day to enjoy those frozen palm trees and snowball fights, so get to it (press left on the D-pad to add up to nine snowballs to your arsenal). Today’s also the final day to submit your entry for the #FESTIVESURPRISE 2016 Snapmatic Contest. Tag relevant pics with #FESTIVESURPRISE2016 on Social Club by 11:59 PM ET for your chance to win GTA$1,000,000. Pegassi FCR 1000 & Vehicle Vendetta Mode - A new motorcycle, adversary mode, and more bonus/discounts for new-gen GTA Online.